Once An Alternative To Mainstream TV, YouTube Now Offers Just That With New Service : The Two-Way With its streaming TV service launching Wednesday, YouTube joins a crowded field. But it offers several features the others don't. YouTube TV initially offers about 40 channels to subscribers in five of the largest U.S. markets. YouTube is launching a streaming TV service Wednesday. It's one of many — Sling, PlayStation Vue and local cable companies among them. But Google-owned YouTube TV offers several features the others don't. They include a cloud-based DVR with no storage limits, allowing users to record as many shows as they want for later playback. Membership also gives access to original series and movies featured on its other subscription streaming service, YouTube Red. And customers can create up to six accounts on one membership, with up to three streams running at once. A subscription costs $35 a month, with a free 30-day trial to start. The app can stream on phones, tablets or computers. After the first month's payment, YouTube offers a free Google Chromecast for users to stream the service to their TVs — as long as supplies last. Many of these details were revealed in late February when the company first announced the service, but no launch date was provided then. Every TV watcher knows there's still no perfect way to watch. Every service suffers from either high cost, limited offerings or restricted access. YouTube TV is no different: Initially, it offers about 40 channels to subscribers in five of the largest U.S. markets. Today, customers in New York, Los Angeles, the San Francisco Bay Area, Chicago and Philadelphia can access the YouTube TV app, which will offer live streaming of networks such as ABC, CBS, NBC and Fox, along with cable channels like USA, Fox News, MSNBC and ESPN. Users can pay extra for add-on channels like Showtime and Fox Soccer Plus. The company plans to add channels from AMC Networks, including IFC, AMC, BBC America and Sundance TV. It also says it will add new cities to its service. Time Warner and Viacom channels like CNN, TNT, MTV, Comedy Central and HBO aren't included. And there's lots of competition at hand — Hulu is reportedly developing its own bundle of channels available by streaming, joining services already offered by DirecTV Now, Dish Network's Sling TV and PlayStation Vue. This rollout comes as YouTube struggles with an advertiser exodus since companies such as AT&T began to discover their marketing campaigns sometimes were displayed alongside videos with extremist or controversial content. YouTube's move still raises lots of questions. Will the many young viewers who watch YouTube videos actually consider paying for a streaming service to see more conventional TV? Can it help transform YouTube stars such as Tyler Oakley into more mainstream television celebrities? 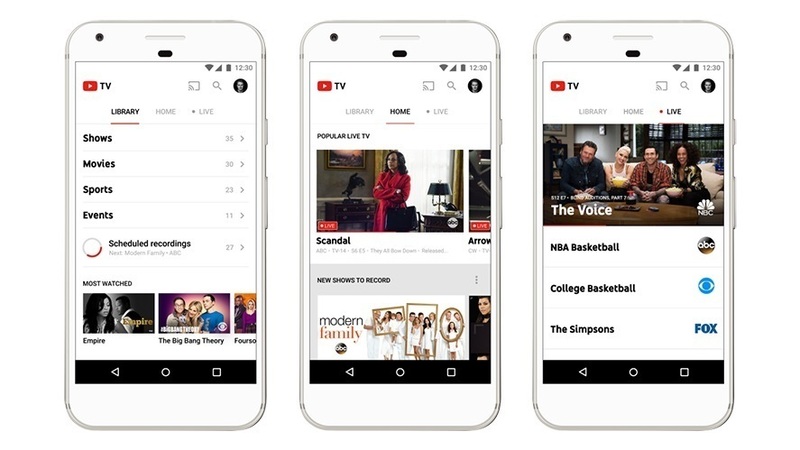 And how will YouTube TV compete with Hulu, which already has a large library of original content along with rights to stream shows on demand that have already aired on conventional TV outlets? Streaming services have had so many limitations that they seem more likely to appeal to consumers who don't watch much TV or to cord cutters who have already ended cable TV or satellite subscriptions.